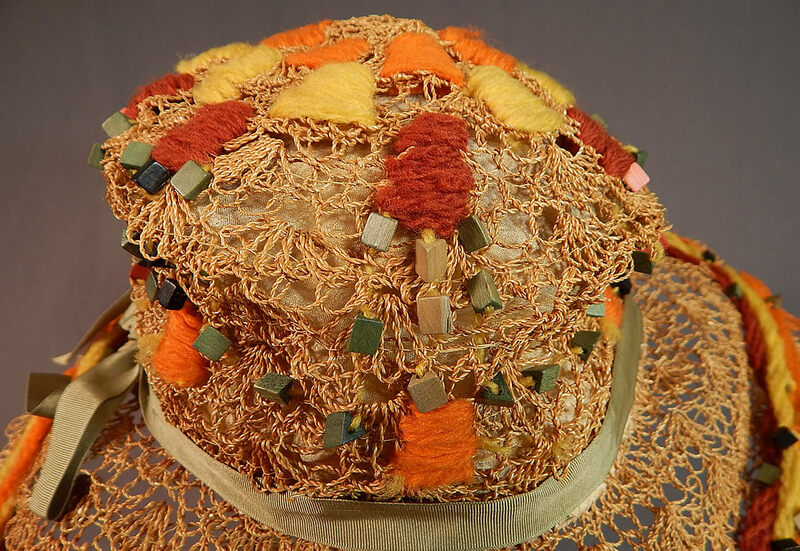 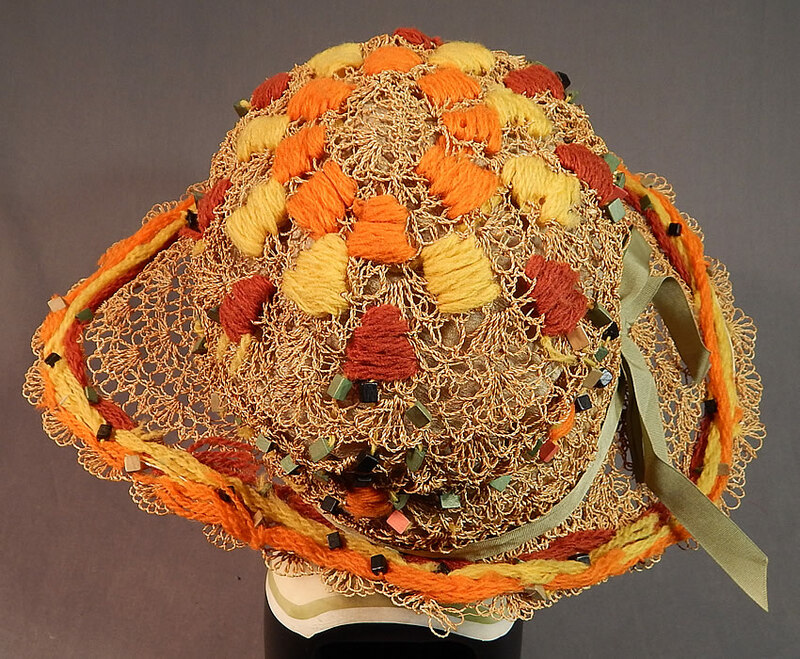 This vintage woven natural straw colorful wood beaded embroidered yarn wide brim hat dates from the 1920s. 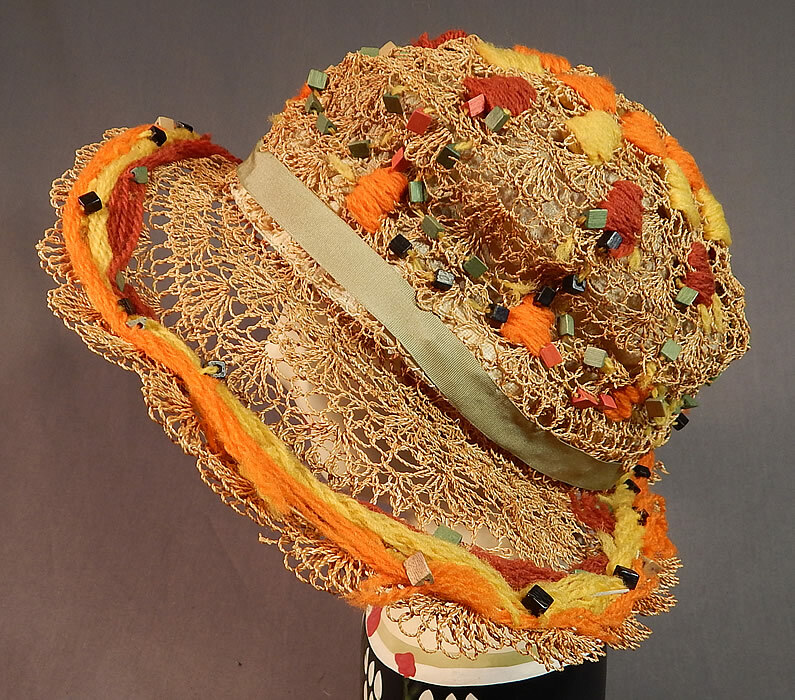 The hat is made of a decorative sheer lattice work woven natural straw covered with colorful painted wooden square beads and brown, orange, yellow yarn embroidered in Art Deco geometric designs. 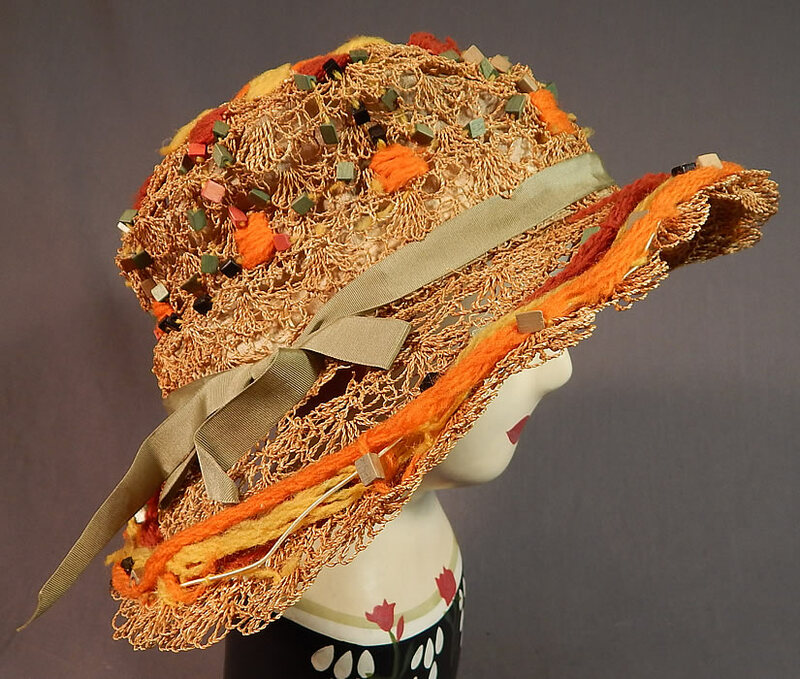 This sensational summer straw hat has a wired wide oval oblong shaped brim, a round crown with green grosgrain ribbon bow trim and is lined inside the crown with a cream color silk fabric. 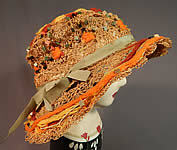 The hat measures 15 inches across the brim and has a 22 inches inside crown circumference. 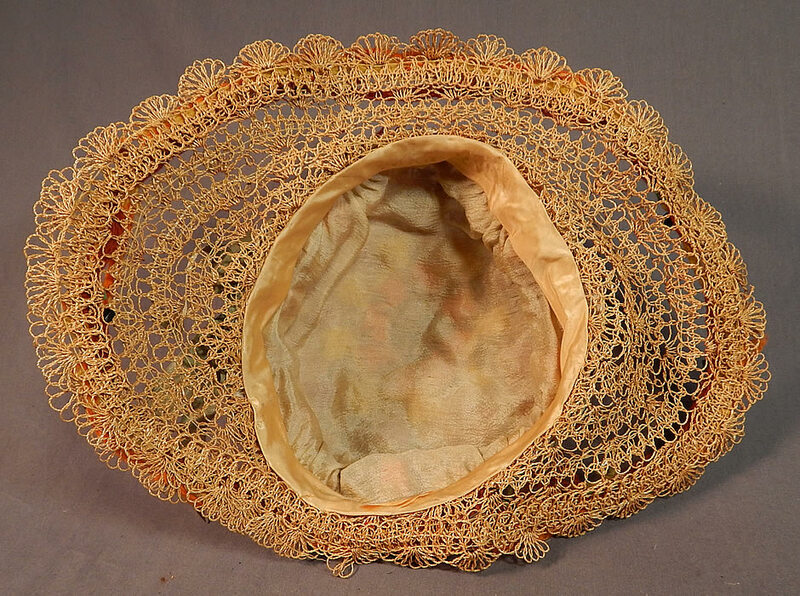 It is in good condition, with only a few faint small age spot stains on the inside silk lining. 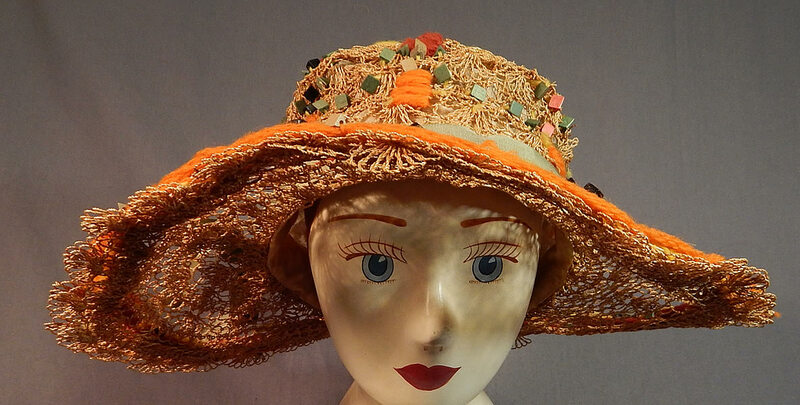 This is truly a wonderful piece of quality made wearable Art Deco textile millinery art!